Gift ( Dhaanam) involves four things.Donor,the beneficiary,the thing that is given & the time.One kind hearted person, asks God to grant him devotion ( asanchala bhakti ).See how he describes it.The receiver should be really eligible to receive .He should not possess the thing he is receiving.It should be a timely one by relieving the receiver from his suffering.Generally the donor also gets benefit by his charitable act, if he is a human being.But God does not expect anything in return. 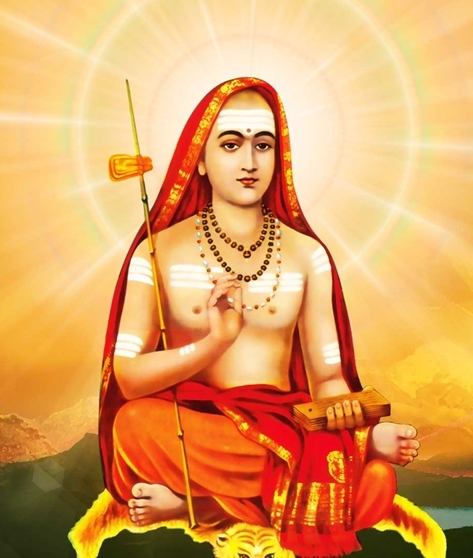 The person asking the gift is none other than Sri Adi Shankara.He is asking for the benefit of whole humanity.He calls God Shiva,"O"Graceful Sambo!This is the ideal time for granting a gift.I am the most eligible person to receive it.Thou alone the is the suitable person to grant benefits & I am not asking any other person except you & you alone.I want the everlasting affection towards you. All of we are aware that Adi Sankarachariar established the first Peetham at Sringeri. Sri.Narasimha Bharathi swamigal ( 32nd Acharya ) was in the process of selecting junior Aharya for Sringeri Sarada Peetham.He came on an yatra to Mysore samastana.There he stayed in the royal palace & informed Mysore Maharaja that he wanted to select the third son of Kunigal Rama Sastri( Mysore samastana Pandit & Vidwan) .Accordingly ,message was sent to Sastri's home.Sivaswami( third son of Astana sastri) came with his elder brother to meet the Maharaja.In the palace,Sringeri Mutt Chief asked the boy( 9 years old then ) to sit by the side of him.He then asked the boy very fondly what did he want.The boy immediately told the above sloka By Sri ,Adi Sankara,the slokam given below.The boy is none other than Sri.sachithananda Sivabhinava Narasimha bharati swamigal, who established the temple for Adi Sankarachariar at Kaladi in Kerala. Photo & Shiva Bhujanga stotram from Sri.Sringeri Sarada Peetham with thanks.